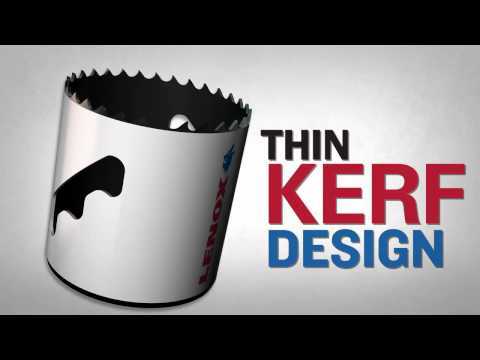 Lenox Tools posted a video on YouTube of some clever new hole saws they have designed. What is the one problem that we all face with hole saws? It is getting those darn hockey pucks out of the saw. We spend more time trying to empty the saw then we do using the saw. Manufacturers try to solve this problem by adding slots or holes to the sides and bottom of the saw, but they never do a good job. Finally Lenox came up with something that might actually work; they added a slot to the side with steps in it. These steps give us a leverage point that can be used to pry out the pucks. Update 3/22/2011: I received an email today from Lenox letting me know that these will be officially launched this Friday. This is why they are sill unlisted on their site.